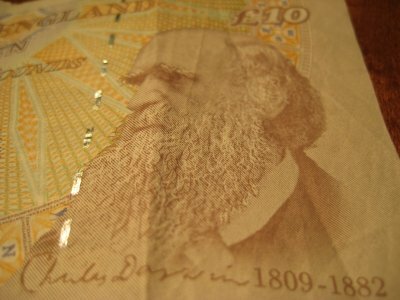 Celebrating Charles Darwin's 200th Birthday. 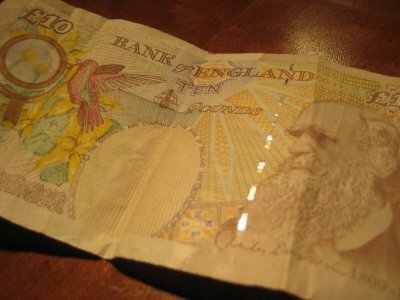 200 years ago, on the 12th of February, 1809, Charles Robert Darwin was born in Shrewsbury, Shropshire, England. A few decades later, he was wandering about on some islands off the coast of Ecudaor and noted that the birds and turtles differed from island to island, though seemed to share similar traits to creatures from the mainland. (Note: creatures in pictures below from neither Ecuador, England or the Galapagos Islands, but seeing as I've never been there, I don't have any pictures of them. These are, however, creatures, and as such seem fitting). In 1859, Darwin published his seminal work On The Origin Of Species. While others had suggested that species evolved, Darwin's work was the first one that grabbed the imagination of the non-scientific community. The book was controversial because it contradicted the religious concept that the world's species were static, created by God in perfect form at the start of time. Today, the concepts that underlay Darwin's book still underpin the theory of natural selection, the most widely accepted theory of the development of species. 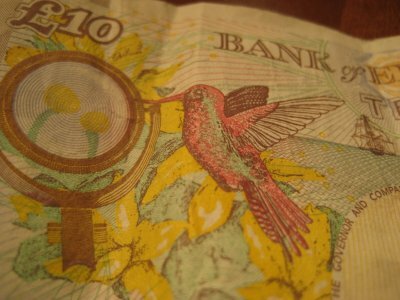 Today, Darwin can be found on the ten-pound note, along with a bird, one of "the flora and fauna that he may have come across on his travels" (lest you forget why he was famous). In the event you feel like getting down "with a celebration of science and reason" in honour of Darwin, you can find events on the Darwin Day page. Nothing is going on in Sheffield (even though it's only a couple hours from Darwin's birthplace), so I guess I'll just have to celebrate by myself.